A classic rich and delicious Chocolate Mud Cake with chocolate frosting… easy to make (and even easier to eat!). Printable Thermomix and conventional recipes included. 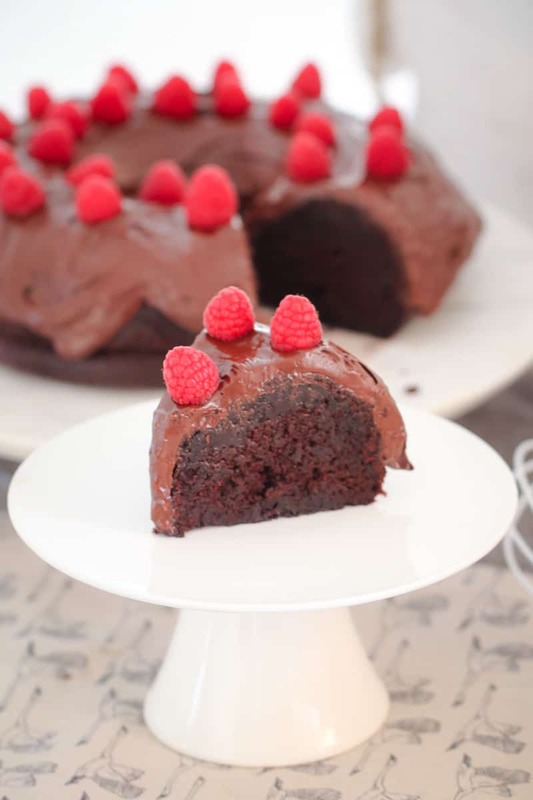 The recipe on Bake Play Smile that I get asked by far the most questions about, is my favourite Chocolate Mud Cake. do I have to use coffee in the cake? can I make this as 1 whole cake rather than a layered cake? So, I thought I’d answer both of those questions today! 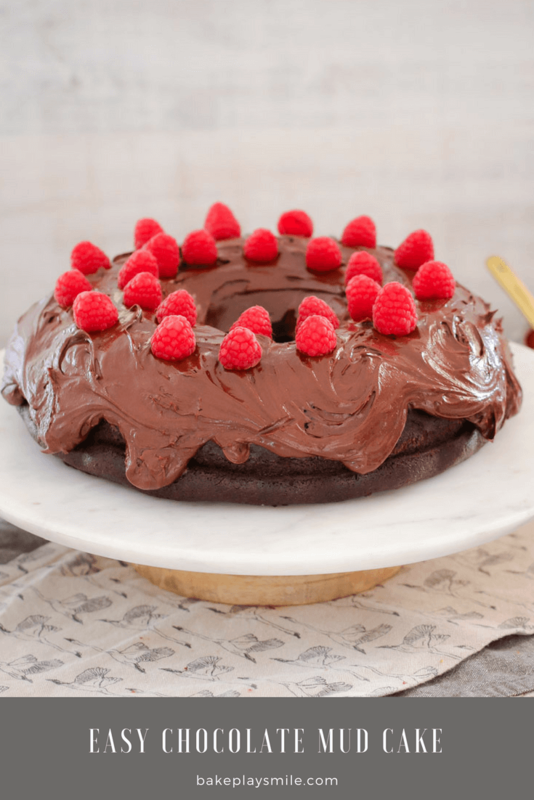 This easy Chocolate Mud Cake is the exact same recipe as my good old favourite Chocolate Mud Cake…. butttt it’s cooked as a whole cake and with hot chocolate instead of coffee. So in answer to the first question… no, you don’t need to use coffee. 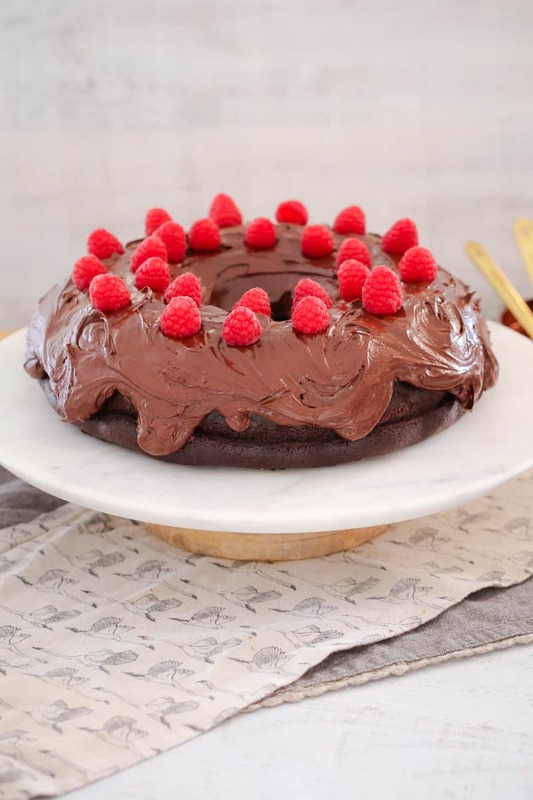 Generally people don’t want to use coffee in this mud cake for 2 reasons (either they don’t like coffee or they’re making it for a kids birthday party and are worried about the caffeine turning their little munchkins into hyped up terrors… hehehe!). Well first of all, if you don’t like coffee, you absolutely cannot taste it at ALL in this cake. Not one little bit. Not even a teensy-teensy bit. Nothing. 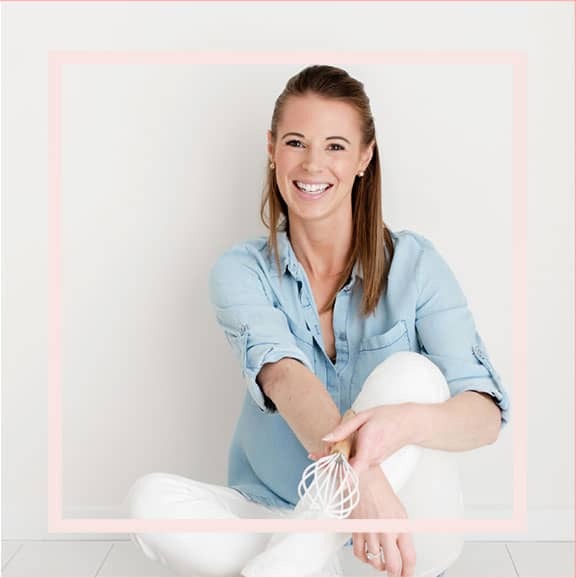 And second of all, the amount of coffee divided by the huge cake that this makes, means that your kids are absolutely NOT going to be running around with a caffeine buzz (although they might have a sugar buzz!!). But if you’re still not convinced, please, please feel free to use hot chocolate. It’s just as delicious (but possibly not quite as rich in flavour). 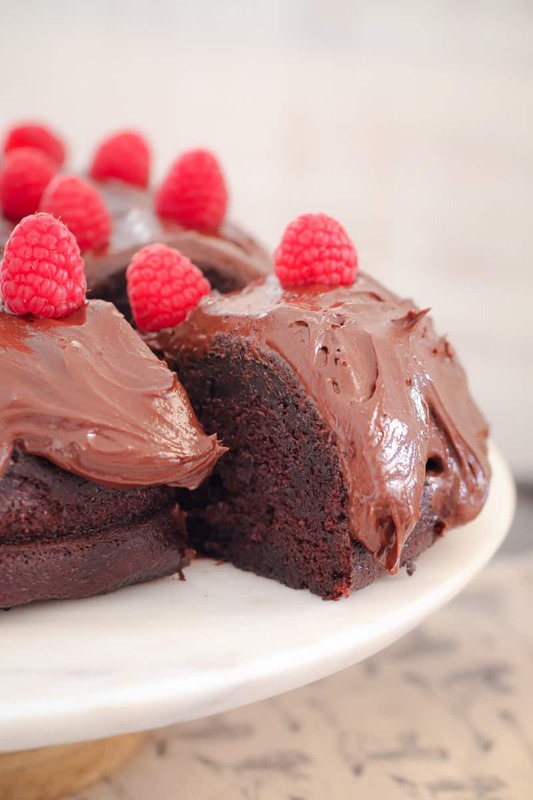 So either way, it’s not a biggie.. you’ll have an awesome chocolate mud cake regardless! And second of all, yes you absolutely can make this as 1 large cake rather than cooking it in 2 small layers. The benefit of cooking it as 1 whole cake is you don’t have to worry about frosting each layer, you just spread all of the frosting over the top – quick and easy! 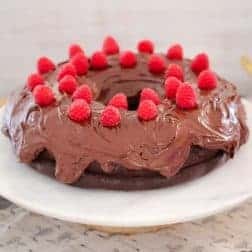 I cooked my chocolate mud cake in a large bundt tin this time (although I’ve also made it in square and round cake tins and it works just as well). If you’re going to make my chocolate mud cake in 1 large tin, then you’ll need to reduce the cooking temperature to 170 degrees celsius and also cook the cake a little longer (around 35 minutes). 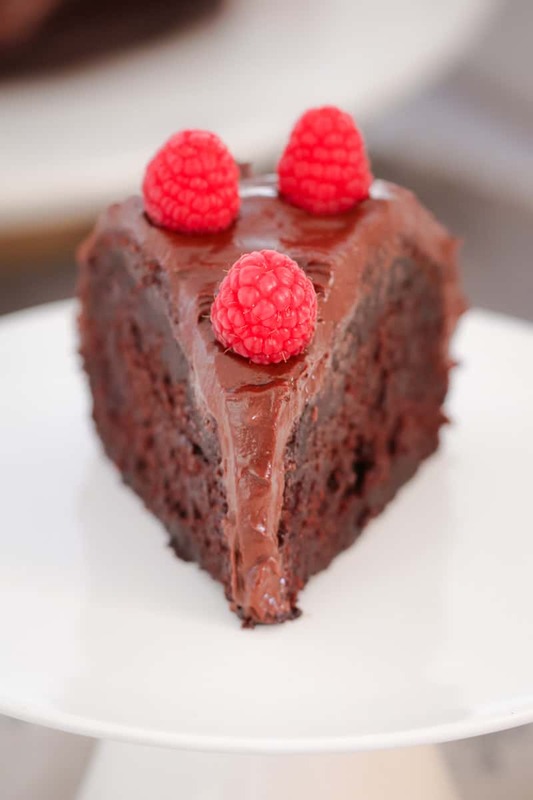 So there you have it, the same AMAZING chocolate mud cake recipe, but just in a slightly different way! 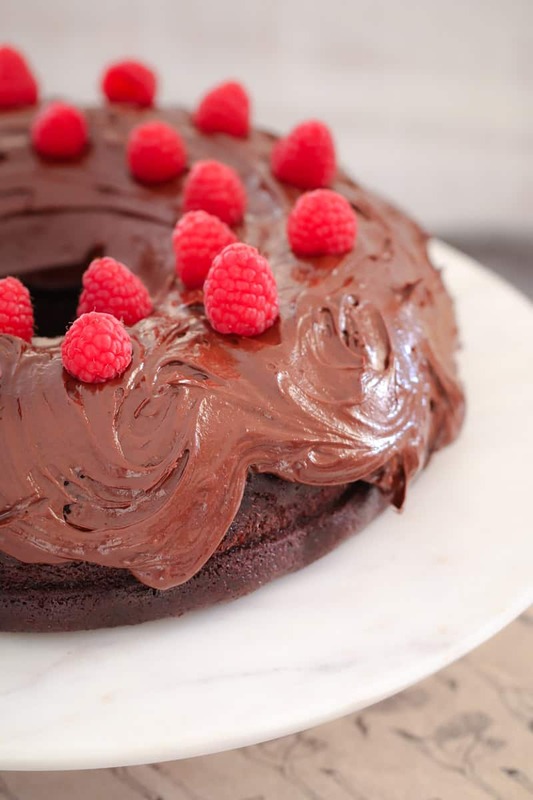 Flourless Chocolate Cake (only 3 ingredients… and gluten-free!). Happy chocolate mud cake baking/eating!!! 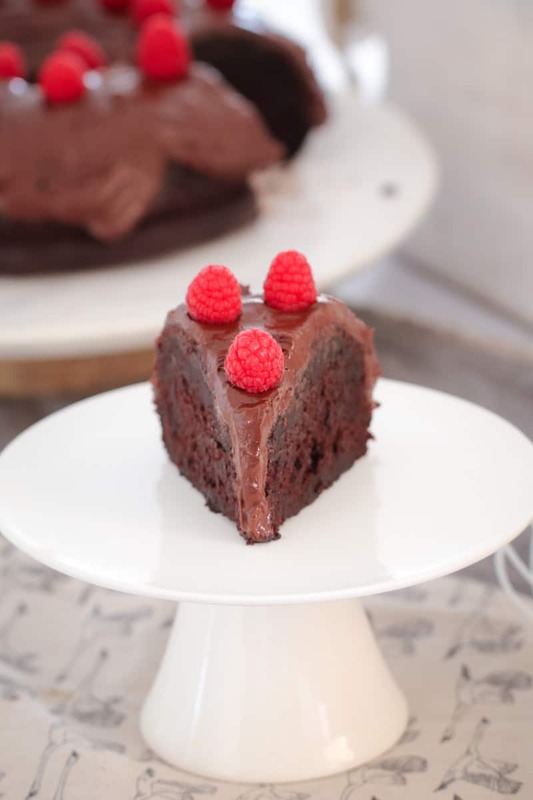 A classic rich and delicious Chocolate Mud Cake with chocolate frosting... easy to make (and even easier to eat!). Printable Thermomix and conventional recipes included. Grease a large bundt tin (or cake tin) and set aside. Sift the flour, sugar, cocoa powder, baking powder, bi-carbonate soda and salt into a bowl and set aside. Using beaters or a stand mixer, mix the buttermilk, oil, room temperature eggs and vanilla in a large bowl until well combined. Slowly add all of the dry ingredients to the wet ingredients with the mixer on low. Pour in the coffee and mix until well combined. Pour the batter into the prepared tin and bake for approximately 35 minutes or until a toothpick inserted in the center comes out clean (don't overcook the cake - you want it to be nice and fudge-like!). To make the frosting beat the butter on high speed until smooth and creamy. Reduce the speed to low and slowly add in the icing sugar as well as the cocoa powder. Beat until combined. Turn the mixer up to medium speed and add in the vanilla extract, milk and salt. Beat on high speed for 1 minute. 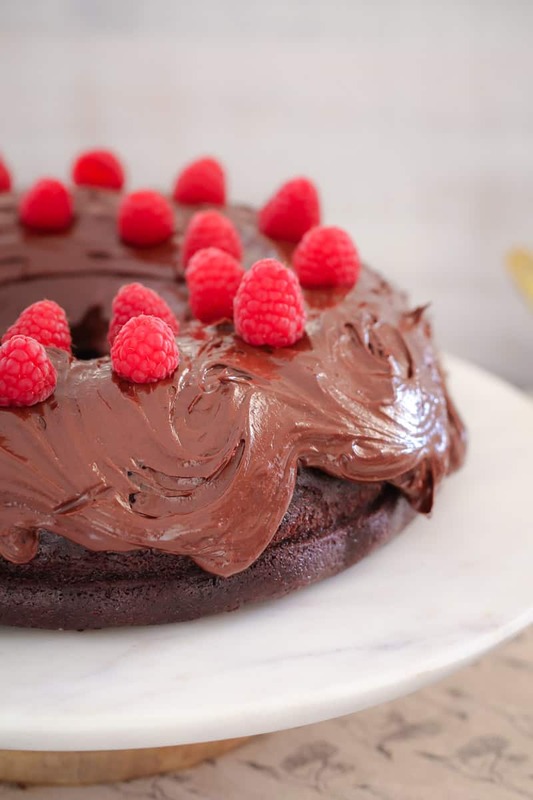 Spread the frosting over the cake and decorate with fresh raspberries (optional). 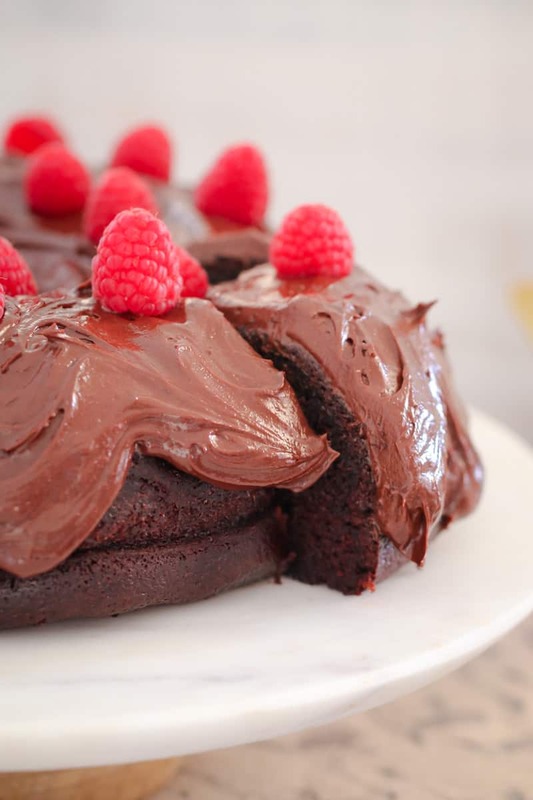 Please note that keeping the cake at room temperature will result in a beautiful, moist texture. Measure the flour, sugar, cocoa powder, baking powder, bi-carb soda and salt into the Thermomix bowl and sift on Speed 8, 5 seconds. Set aside in a separate bowl. Place the the buttermilk, oil, room temperature eggs and vanilla in the Thermomix bowl and mix on Speed 3 until well combined. With the blades on Speed 2, slowly add the dry ingredients to the wet ingredients and mix until combined. To make the frosting add the icing sugar to the Thermomix bowl and mix on Speed 9, 10 seconds then add all of the remaining ingredients and mix on Speed 4, 30 seconds or until light and fluffy.